This entry was posted in landscape, Photography, Travel, USA/Canada and tagged aerial photographs USA by splashingpaint. Bookmark the permalink. Glad you like the photos. They are tricky subjects to paint. I used some in an exhibition called Wetlands a few years ago. These were all small 8″x8″ mixed media paintings. Wow! You are quite a photographer. Beautiful. They’re all so nice. The fourth one is my favorite. Lovely! Oh, I love these. I have some great shots of flying in and out of Haiti the year following the earthquake. I have been flying for over half a century and still feel like a kid – I request window seats and can spend a whole flight staring out the window like an idiot. I like to try to find places I’ve been – plus find interesting spots. My first action on getting somewhere is to pull up Google maps and try and figure out some landmark that I spotted. I have never thought of bringing a good camera along… have to do that next time. Sounds like you are hooked like me Bill. I get home and go through all the photos, matching them up with google earth. I’ll be looking for a GPS in my next camera! What a great idea for a post! 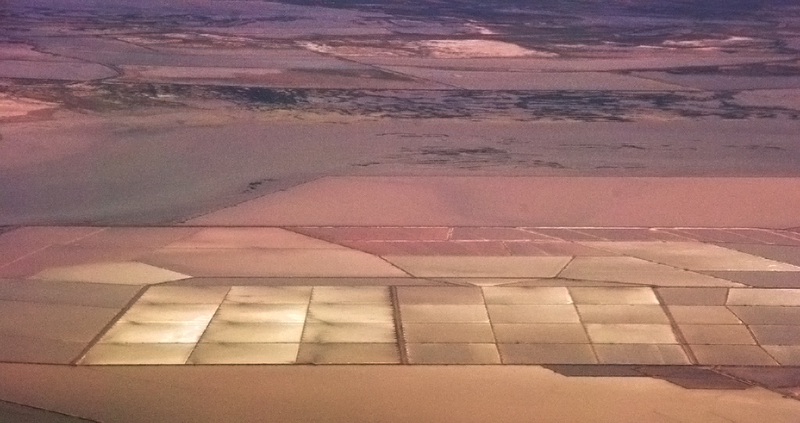 I look out the windows of planes from a geologist’s perspective. Some of your photos would make excellent examples in an Earth science classroom. Yes, I had the same thought! 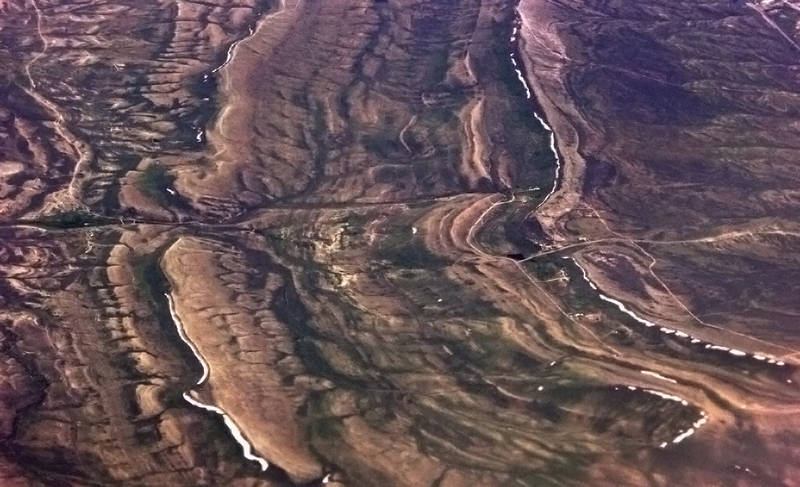 Amazing how the planet takes on a whole different aspect when you can look at landforms from the air. Is that first shot of Mt. Hood and Mt Adams just outside Portland? Yes, that shot was taken on a flight from Redmond to Portland. What an awesome sight, sticking up through the mist like that. OMG. That is all I have to say. It’s amazing how much more organized everything looks from high above. That 4th photograph is amazing!! Where was it taken exactly? The fourth photo was taken just out of Salt Lake City in June this year. Thanks for sharing. It looks so peaceful and quiet from high up. what pictures! i love them! espcially the snow mountain one! beautiful! The green mountains are my favorite, but they’re all lovely and interesting. I absolutely love you mixed media paintings! They remind me a little of the book “The Forgetting Room”. Very beautiful landscapes! Great photos! These are really, really great photos!! Beautiful scenery across the US. I have never seen those places in person but I’m sure they were amazing! Merci for sharing and Felicitations for being freshly pressed! Wonderful series. The 2nd and 4th are my favorites.Excellent compositions. Wow, these pictures were taken out of an airplane? Those tiny little windows?? Fantastic. I love the idea of this too, splashing paint across the usa is a very visual set of words to go along with the incredible pics. Nice! Beautiful images! I love them. Nice work, thanks for sharing and congrats on your freshly pressed entry. is the first one Mt Rainier ? oh ok. sorry it looked like Rainier to me. thanks for clarifying. This is a wonderful theme and i bet you can add a lot many to it and build upon it . All the Best ! Really great work! Keep sharing. This paints an opposing perspective in my mind, than the one I’ve always had. These are the things you learn as an adult that you only imagined as a child. Sometimes it’s so easy to feel trapped in our own concrete Jungles. Thank you for reminding (some of) us how beautiful our home is. These are just fantastic! Very talented. Fantastic! And congrats on the Fresh Pressing. Great. Flying on Monday and will be taking some snaps. You have a good eye for awesome pics! Great blog. Keep blogging. Wow! Great shots. 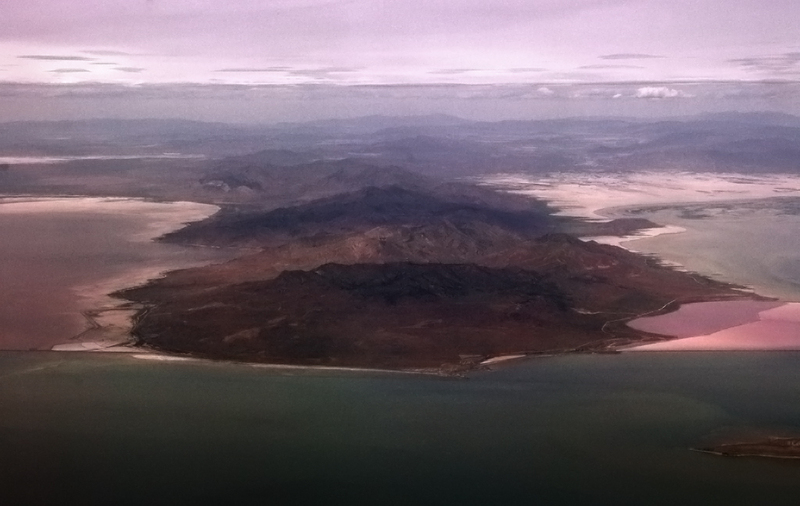 When I take pictures from the plane, they look like… well, like I took pictures from a plane. Lol. Problem is, you have to sit in the window seat each time. Wow your paintings are amazing. Lovely. What a cool idea! Love the (5th one from top) pic… it looks like a painting! I would proudly display that in my house! What a view…real sharp. Wonderfullly shot. Impressive pictures… Do you take them from regular Boeing/Airbus or smaller planes like the one on the last picture? Thanks for commenting. Some shots were taken from large commercial airplanes and some from smaller short run planes. best shots are usually just after takeoff or descending to land. I loved these! I also have a few fond aerial pics. My favs were going from Europe to LAX. I loved seeing snow and ice “down there” over Greenland or Canada and seeing the Rocky mountains. 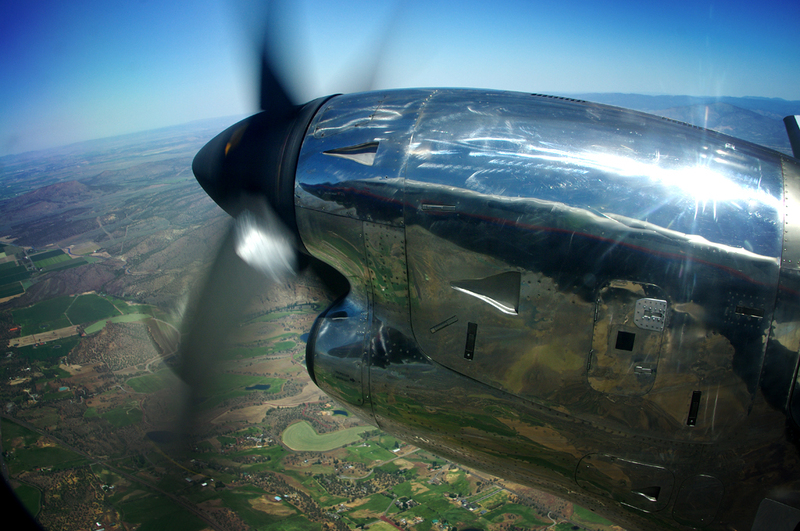 Much as I also love the landscape images, my favorite is the shot of the gleaming metal wing and propeller! I have a similar image I took while coming into Toronto in a prop plane. Planes are just as gorgeous. One of my favorite things to do is look out a plane window and see the marvelous landscapes below– your post is filled with stunning shots of what’s “down there.” I wouldn’t be surprised if you used them as part of a book or art display– well done capturing God and man’s wondrous creation! love using photos as a basis for your art. They are fantastic. I always try for a window seat and have thousands of photos from planes, trains and automobiles. Wow, so pretty. Great pictures! I forgot how beautiful our country is, minus the highways and stuff ha. sweet photos! I had a big road trip over the summer and got to see a lot of cool places from ground level…definitely want to hop in a plane now though! Its a very different view from up there. Great photos! I especially like the one with the grassy hills. Amazing, I love shots from the air and these are all seriously beautiful! I remember flying from Ethiopia to London and we were flying low over Egypt and I managed to capture some pyramids in the dessert with my crappy little point and shoot camera…it’s so cool to look at things from a different angle! I love having the window seat, I can observe the landscape for hours, great photos. Very cool shots, and it shows the amazing variety of landscapes that can be found all over the country! Thanks for sharing and congrats on freshly pressed! Awesome job! Congrats on FP! Cheers. Wow… Those are great pictures. Wow, that looks so cool! So lucky to go up in the plane and get those amazing shots. It looks like a patchwork quilt! Keep going, congrats for being on FP! These are stunning! I too love to take photographs from plane windows. My favorite natural subject is ever the sky. Cool pics! Amazing how different and vast things look from above! These are really cool. You got some great shots. Wow, these pictures are really nice. Keep this up! 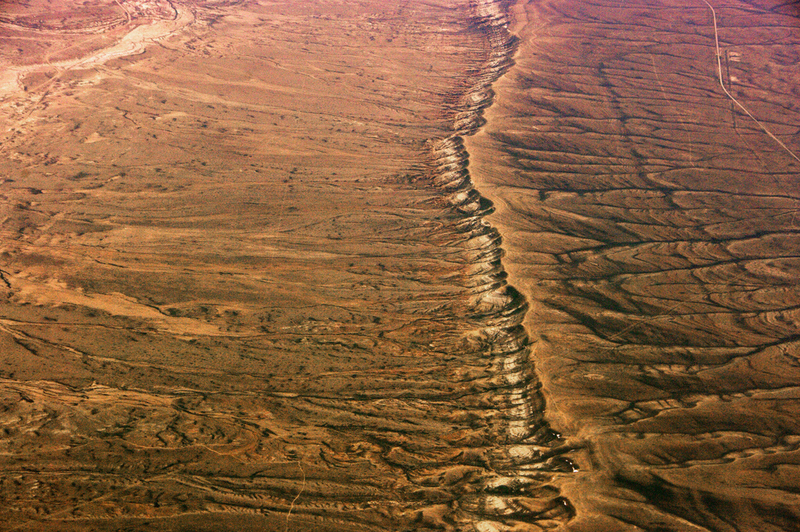 Mapping the earth’s vagaries, opening up the world from above. Found the paintings very good, as well. Thanks! Stunning artistry in these landscapes! Congratulations on being “Freshly Pressed”! Nice pictures! You’re very talented! Very nice. My family always laughs when I pull out my camera during a flight. I have shot some spectacular sunsets and one very memorable sunrise. Good work. 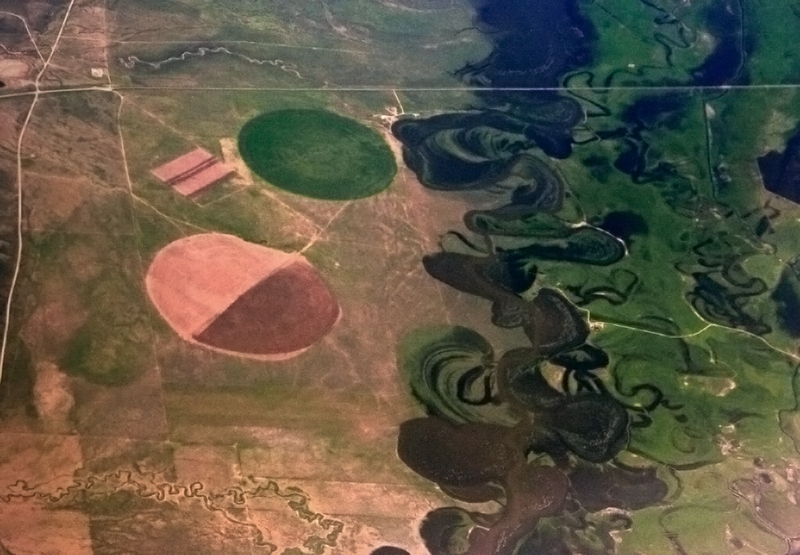 The circles of green irrigated fields are like those you see flying into the valley where I am an artist, Bozeman, Montana. 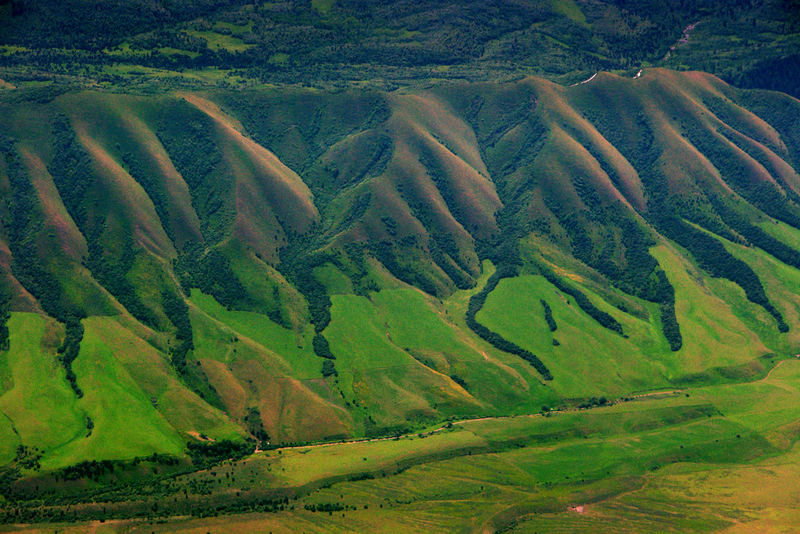 That photo of the green foothills in June near Salt Lake City is more green than I’ve ever seen in Utah! Well done. Great photos! And I love those paintings in the first comment above; it’s amazing how you’re able to find inspiration in the simplest things! I love it! I’ve travelled somewhat cross country and have seen some great views, but your photos really capture the landscapes. Isn’t this nation fantastic! 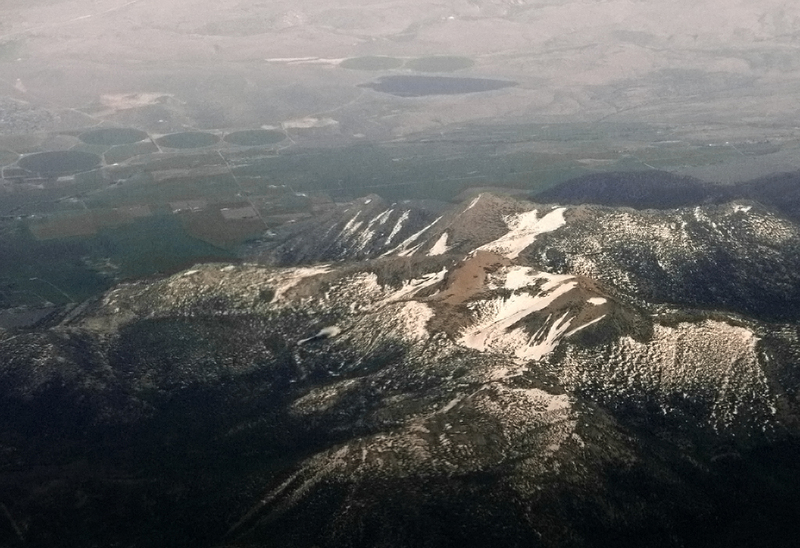 air shots are tricky–high elevation, limited view (if you’re sitting in an airplane) but these are so stunning! i sometimes like to go on google earth to view how certain places look like from above; the contrasts of city/town and farmland is interesting, and shows more than just simple geography! looking forward to seeing more of you work. Great shots! congrads on being freshly pressed. awesome photos… my favorite is #5, where’s that taken? i wonder what those circles are.. Thanks for commenting. Not sure of the exact location for that shot, but it was a couple of hours west of New York heading towards LA. This is my favourite freshly pressed site today! Intriguing images. 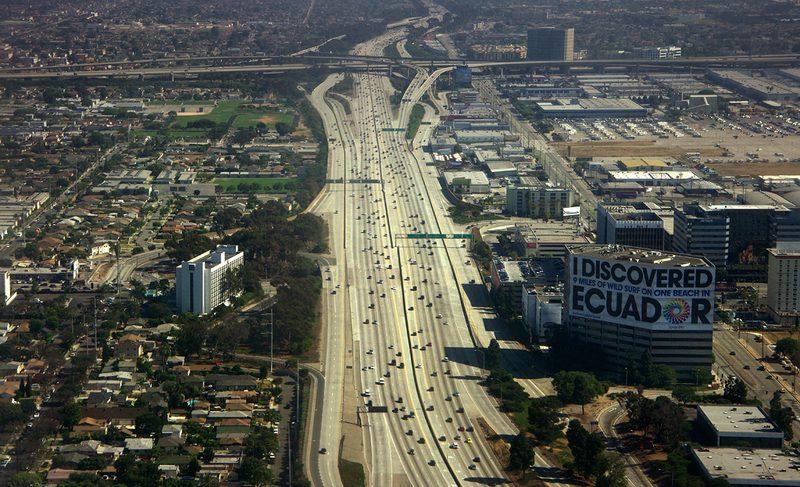 You really have a eye for stunning aerial panoramas. Really cool, I love your pictures! Excellent! Would make amazing canvasses. You are one talented photographer. It’s because of people like you that cause my shots to look so pitiful by comparison! Beautiful work…. beautiful! 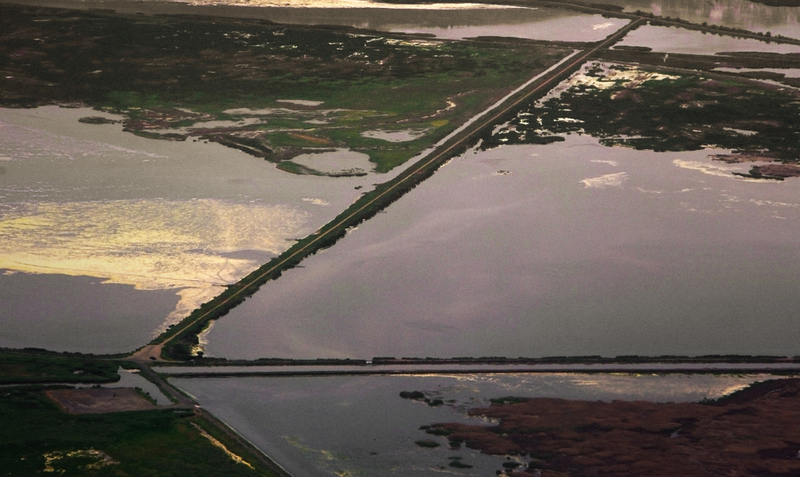 i’ve taken a few shots from planes….but they never turn out even a fraction as great as those! thanks for sharing. i fly a few times in the next few weeks so i’ll see if i can manage something worth posting. These are absolutely stunning! I’m an amateur photography – just getting back into and these have completely inspired me to take some pictures from the air on my next vacation! Beautiful! I really like how the landscape forms its own pattern, like somebody already painted a scene. What a wonderful world God has given us. Beautiful! I have some friends who are pilots who bring back some nice shots, but those mostly look like exactly what they are – taken through a window of a moving object roughly 10 seconds after he went, ‘that’s cool I should take a photo’. These are rather majestic, congrats on being able to score such fabulous shots. Sometimes a bird-eye-view makes you appreciate the beauty you would miss from the ground! Wow! These are just gorgeous! I always love that bird’s eye view you get when you are flying above and everything looks as small as an ant hill. It’s almost surreal looking down and seeing everything beneath you. 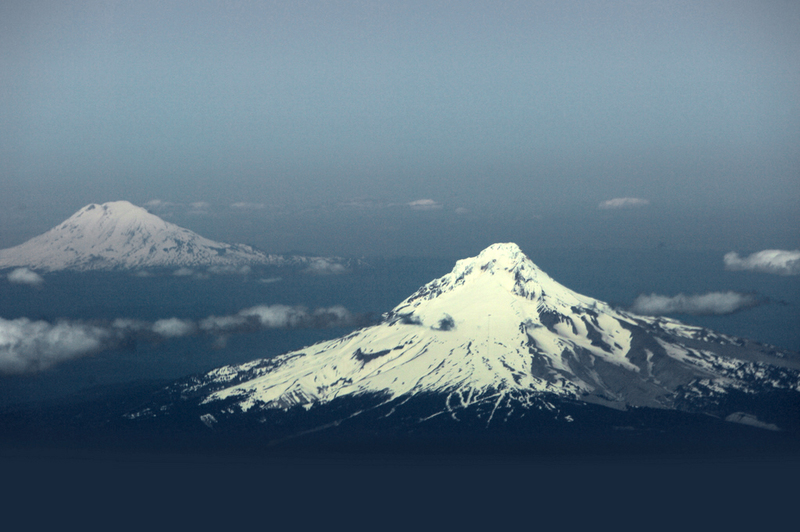 I immediately recognized the first one with Mt Hood since I live in the northwest. Love that mountain! Great shot! Me too to all of that! I’m another of those whose nose is glued to the porthole from the second we take off. I love mount Hood! Great shots. I’m glad you were freshly pressed so I could see them. Cheers. Beautiful pictures. I never thought I would see such great pictures from the window of a plane. I will have to look out the window more in the future! Well done, i like your pictures! The 5th photo from the bottom is the one that gives me butterflies. 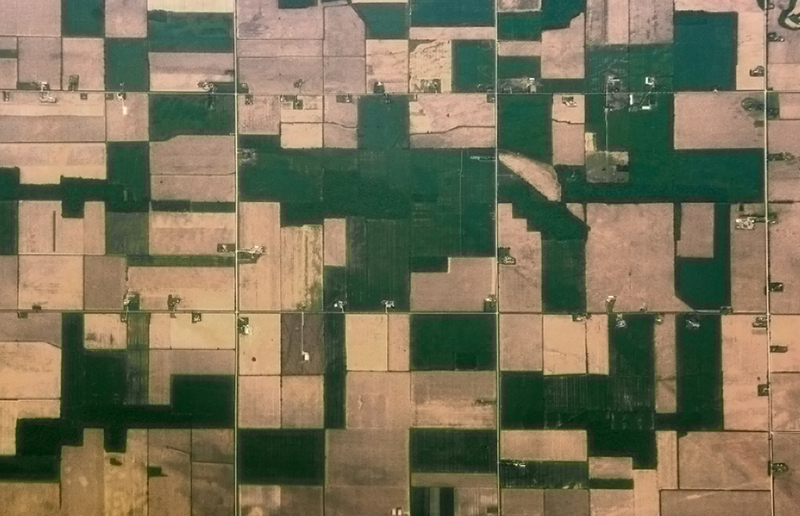 When I look out an airplane window and see those perfect squares of various green like that I know I’m home, in Iowa. Thanks for sharing these fabulous photographs. What a cool concept! And the photos are beautifully done. Thanks for commenting. Not sure of the exact location, but it was taken on a flight from Minneapolis to Salt Lake City, somewhere over Nebraska / Colorado. Thanks John. Might hop on googleearth and see if I can find it! Great shots. Crazy how different things look from far away. Breathtaking! Wonderful shots! Thank you so much for sharing these! I’m obsessed. Who knew we lived in such a magnificent country? Everyone wants to visit Europe, or Asia and yet, here, here we have everything lovely as well. nice serie…did you wipe the plane’s windows? no scratches at all! Yes, I always clean the window and try and find the clearest region to shoot through. Sometimes hard, but a longer focal length usually overcomes marks and scratches. To see the world with birds’ eyes make your heart lighter. I love the pics, which camera u r using? I’m using a Pentax K20D with 18- 250 Pentax lens or Vivitar 28mm manual lens. No matter what lens, sharpness is compromised by 3 layers of plastic window – which also creates flare and distortion. Such lovely photos, thanks for sharing them. Definitely give you a different perspective. Don’t you just appreciate the world from high above? Makes things much more serene and that you can conquer anything upon landing. I hope someday I could do the same thing. Love this! 😉 Keep up the good work and ill keep following you!! Gorgeous pictures! I especially like the second and fourth pictures! Great job! Ohh!!! View from the top was never so good !!!! excellent photos!! Wow! Fabulous shots! Especially for me who has never been there! You have very beautiful landscape. Please keep shooting and thank you for sharing. Those are awesome! Thanks for posting. I love the idea of taking pictures from that high up…but haven’t taken enough airplane rides next to a window to make it work! Beautiful photos from a viewpoint not often seen! Nice shots and well edited. Airplane windows kill contrast. It’s tricky to bring everything back in Photoshop without making the pics look fake. You did a great job on this set. Amazing! I can’t imagine how you did it. Thanks for sharing. These are great photos! Gives a completely different perspective! Those pictures are really awesome ! thanks for sharing your vision of the world ! Panorama is very beautiful and amazing. Earth looks so great from the air, true art works, great photos! Love it! The first makes me miss home…. Thanks for sharing! I really enjoy the different textures and shapes in the photos. You captured the shot from the sky showing how different the land can be. Great shots, and an excellent reminder of how expansive and beutiful our world truly is! I love how you have taken these images and how you have achieved a different perspective. Fantastic shots!!! Congratulations on a great eye for beauty! Very Cool! Love the mountain and airplane shots. I wish I had your same collection of photos and travel experiences! I’m just beginning my journey to all the hidden gems across the U.S. but have learned the world is at times both big and small. With so much going on in cities all across the world–how do you choose where to explore next? Fantastic shot and awesome scenes. Thanks a lot for sharing! I am astounded that you were able to capture all these from the air! These are fantastic! Thank goodness for clear skies :). These are really nice air photos. Thank you for sharing. I really like the first picture. Really impressive. Love the series, fantastic images. Great pictures from the top. I love to admire the bottom when I’m on the plane, as well as the clouds. I love the 1st, 3rd, 4th. They are my favorite. I loved these photos. Thanks for the post! Especially, I like the first photo. Because , I like Mt. Fuji in Japan. It looks like the mountains in the photo. Love your photos! Shot from that altitude they become open to new interpretation. Your focus becomes that of colour, shape, geometry etc. Great series – well done on being Freshly Pressed. Great work John!!!!!! keep it up. great work man!!! loved it!!! Beautiful aerial photos. I like how you play with the abstract lines, patterns and shapes view of the land at times. Well done! These shots are all from the airplane window. Landing and taking off are the best times to take photos – particularly if the plane banks and you happen to be on the down hill side. My ideal flight would be right across the country at about 30 degrees, or even better a hot air balloon! Always love flying. Is that serpent mound? Even, if it isn’t, the thing is mystical. No, not serpent mound, but unusual formation just the same. The more I see your photos-the more I admire. natural beauty is the same—may it be U.S.,Africa or India. Got sucked into the blogosphere after creating my own. Came across your blog and really appreciated the photos, art, and simplicity. Nice job! The last picture is especially awesome. Amazing photographs. Just watched ‘Into The Wild’ last night and now your blog … both visual treats of the great American landscape. Particularly like the shot of the aircraft engine gleaming. It’s like painting done from sky. Amazing! I love the north american landscape, great job! Great photos. Reminded me a little of the ones I took on my way to Washington, D.C.
You show the colors, shapes & lines of the earth as the beautiful design elements they are, we don’t get to see it in this form.Thanks for sharing these amazing photos. They remind me of a book “Earth as Art”. How the heck did you get those pictures? Very cool. Peaks & swirls, squares & steel, snows & glows–these are beautiful, thanks! such incredible images! so well done! Amazing!! I so love the shots. Very nice. Great to see planet Earth at a different angle. great photos! where are these places?